A late morning visit to Grindelwald. It was starting to get cloudy. 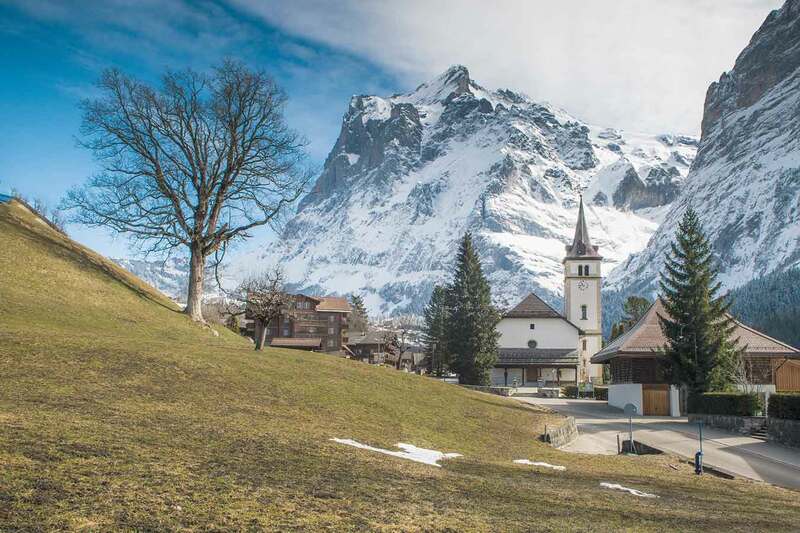 However, I managed to get some nice pictures by the church in Grindelwald. Afterwards I drove up to the Oberer Gletscher or Upper Grindelwald Glacier. It was a peaceful Thursday with little traffic on the streets. The majority of the visitors were on the ski pistes. The car parks were full. 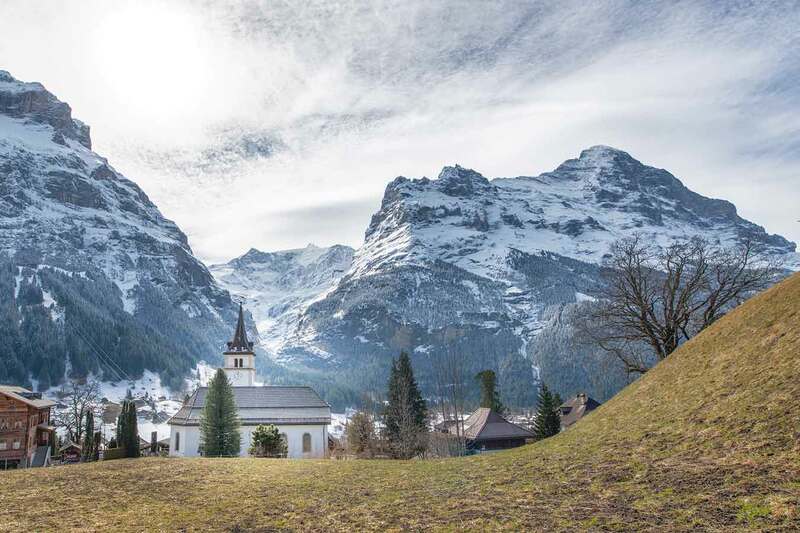 The mountain in the background is the “Wetterhorn”. You can see the clouds creeping over the top of the mountain. The weather changes very quickly. The Upper Grindelwald Glacier (German: Oberer Grindelwald gletscher) is one of the two valley glaciers near Grindelwald on the northern side of the Bernese Alps, in the Canton of Berne (the other being the Lower Grindelwald Glacier). It had a length of about 6.6 km (4.1 mi) and covered an area of 9.6 km2 (3.7 sq mi) in 1973. 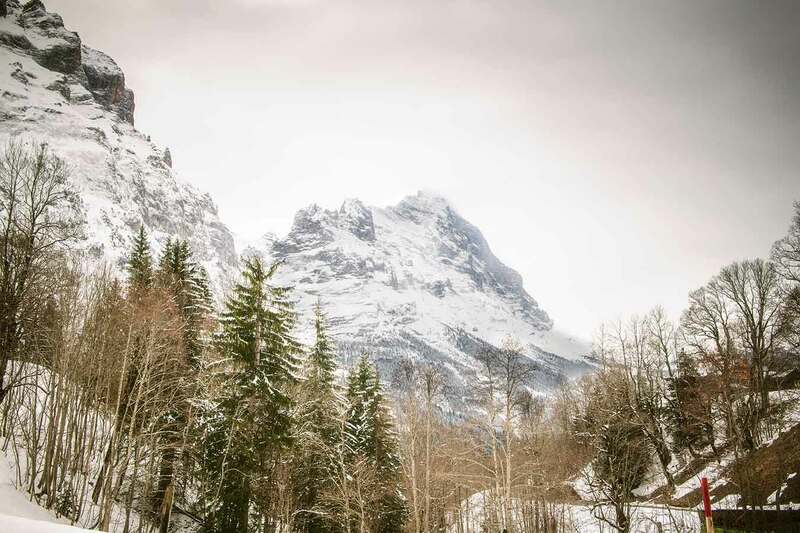 I am available to photograph your family or company event in Grindelwald, Switzerland. Photographer Grindelwald. 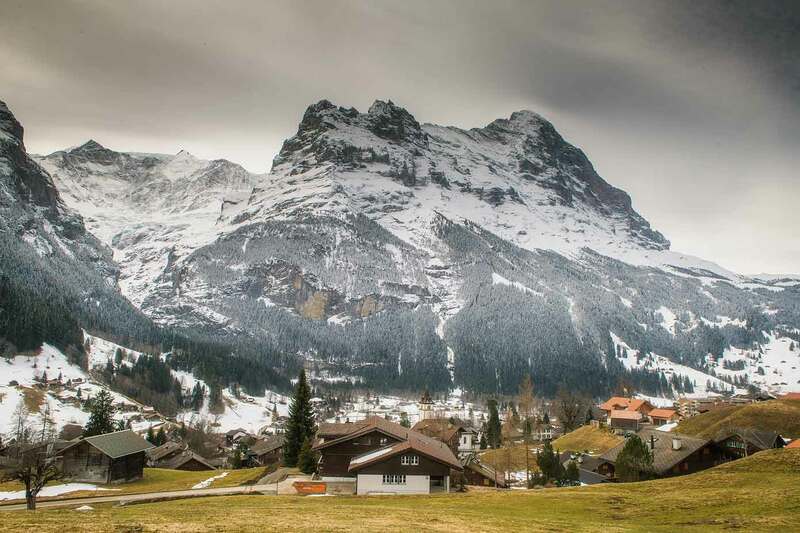 The Eiger mountain towers over Grindelwald.